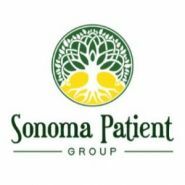 We are the longest permitted cannabis dispensary in Sonoma county. SPG is just minutes off hwy 101 in Santa Rosa Ca. We serve both medical cannabis patients and adult recreational use (for those over 21 with a valid ID or foreign issued passport) We carry a variety of cannabis products from flowers, to concentrates. Topicals, edibles, vapes and CBD products too.